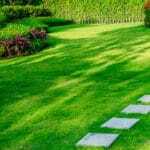 You have decided to enlist the help of a professional lawn care service to assist you with maintaining your lawn, but are unsure of what your next step should be. It’s important that you select the right lawn care company, as you’ll likely be working with them for years to come. 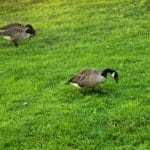 There are a few things you should consider and a few action items that should be tackled when you embark on your lawn care service adventure. Lawn care can be complicated, and it’s not always possible to see what the specialist is doing. You will want to work with a company that is professional and will be there to answer questions or address any concerns that may arise, that way you can be confident that they are completing the right tasks. Investing in your lawn is important, but investing in lasting solutions is essential. You do not want to sign up for services blindly. It works better if you can understand the scope of the project, the timeline, and the realistic projected outcome. A consultation should be able to provide this for you. 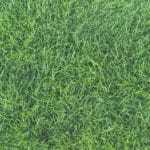 Green Lawn Fertilizing provides free consultations so that our clients know exactly the issues with their lawn and the possible steps Green Lawn Fertilizing will use to achieve the desired results. Many companies can sound appealing on their websites or on television, radio, or newspaper advertisements, but the best way to know if a company can live up to their claims is to talk with someone who has worked with them. You can talk with a neighbor, a friend, or read online reviews to get a good idea of what that company does, how they respond to follow-up questions and how the customer feels when interacting with the company and its representatives. Experience is priceless. With experience comes know-how and the ability to handle a variety of unforeseen circumstances that may arise. Experience in skill as well as experience with the products being used is essential. Someone could have 20 years of experience in a field, but if they have never been trained in the right tools, then it is potentially a roll of the dice in how effective it may be. All of the technicians at Green Lawn Fertilizing are trained and registered by the state of Pennsylvania. You can trust that not only are our standards up to par, but we meet the state’s requirements as well. Green Lawn Fertilizing is happy to answer questions about our services at any time. We know how hard it can be to find the right lawn care company. Give us a call today at 888-581-5296 and let us get started on your lawn care needs. It surprises me how many bad lawn care companies are out there and making money! After over 20 years in the industry it still doesn’t fail to amaze me and I ca seem to put a finger on why people settle for it.